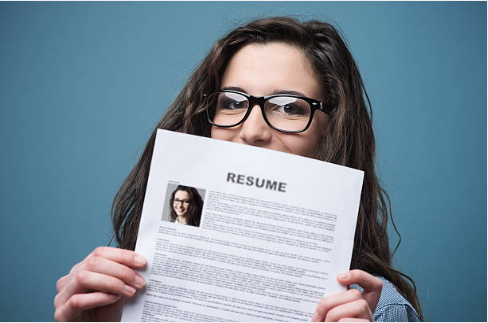 Connect One explains how to create a good impression with your resume. For most job seekers, the resume is the only way of creating the all-important first impression to a hiring manager. The science that underlies how fast first impressions are created i.e an average of 7 seconds holds true for the resume as well. The points outlined here are based on documented research as well as our collective learnings coaching talent to write winning resumes that can land them an interview with their dream company. Do you know your personal brand?Perhaps you are at career crossroads or considering a change or recently restructured out of your company. Instead of rushing into sending resumes en-masse, take the time to reflect in-depth on what’s working, what isn’t. Consider these questions:> Who you are - family background, personality, culture, education, values, mission and vision> What you can give - hard and soft skills, talents> Why you are credible - track record, intellectual property, certifications> What you promise - how those skills, talents can help directly (functional)One of the most useful frameworks is the personal branding canvas which provides a structured and comprehensive evaluation of who we are and what we can offer to our prospective employers. Are you clear about your career goals? > What are your priorities - both work and personal? > Are you looking at continued growth within the industry or a pivot to another? > What kind of work would you like to do? Do you have the skills for it? If not, where and how can you learn it? Once you understand your personal brand and career goals, you are now ready to tell your story with a resume and impress hiring managers enough to land you a chance to meet them! 1. Do you have an executive summary? If you have 7 seconds to impress, this is going to be the elevator pitch that makes you stand out from the crowd and aligns your career goals/personal brand to what the employer is looking for. It is your story - make it real, make it personal! Let us take a look at how the executive summary makes the difference in the resume of the exact same individual. 2. Is your resume customized? - Is the information relevant to the company and role? - Is it credible and specific (especially for the role)? It should be aligned to the job requirements as laid out in the job description. For example: leave out the full details of your 5 years of retail experience if you have made a transition to UX Design after completing a course plus internship and would like to apply for a UX Designer role. Instead, expand on the nature of your work internship in UX. 3. Is your resume less than 2 pages long? Hiring Managers do not have the time to read past the first 2 pages. Resumes that have more than 5 pages gives a negative impression. Select only the relevant experiences, endorsements and skills that are specific and distinctive to the role at hand. Separate the main points from the supporting points. Do not data dump! 4. Do you have a professional and likable headshot on your resume? It communicates your personal brand, career and personality. Cornell University’s study on the correlation between one’s impression created via a headshot photo and the actual positive experience of meeting a person further emphasizes the importance of a photo on your resume. 5. Format - is the info organized with a clear visual hierarchy? In summary, your resume is your personal brand, your personal story. Keep it simple yet inspiring. Stand out from the crowd with a winning one and land your dream job! Older PostWe celebrate #MothersinTech this May!